Beautiful Acrylic Enhancements, available as Clear, French or fabulous coloured or glittery designs that are never ending. These enhancements are perfect for a Special occasion or everyday wear. 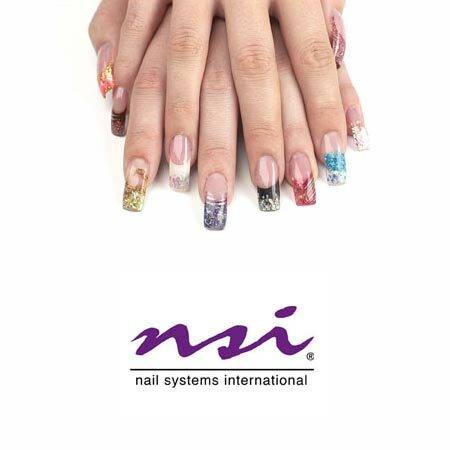 NSI Attraction Acrylic System, truly the most advanced powder and liquid system available. These acrylic products provide you with exceptional strength and flexibility. The attraction liquid is low odour and non-yellowing. 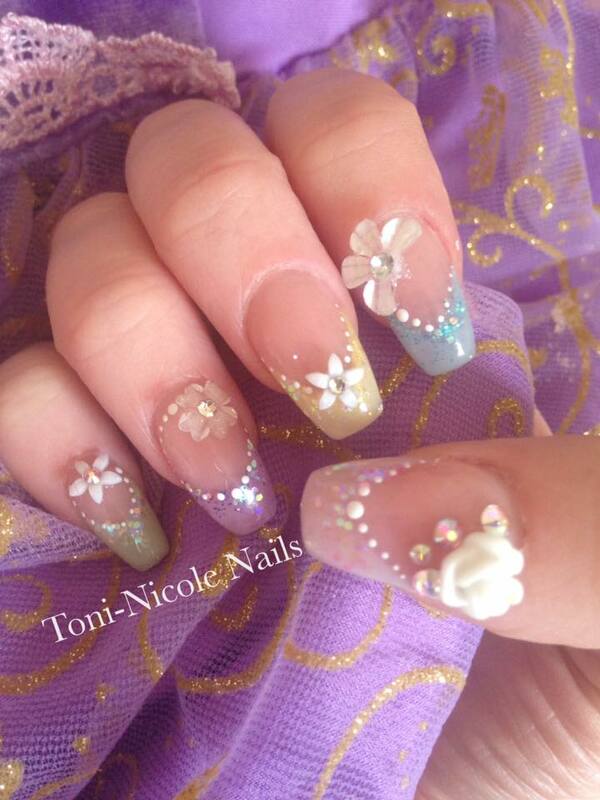 When you book your first appointment your nail technician will do a thorough consultation with you to make sure you know exactly what to expect. At Professional Beauty Care we have such a range of nail treatments, we will find the perfect one that suits YOU. Acrylic nail enhancements require upkeep every 2-4 weeks (depending on your own nail growth). Or a professional nail removal when you want them taken off. Make sure you choose a length and shape that suits your everyday lifestyle, your nail technician will assist you with this. For more information on Acrylic nails enhancements check out the tips section on this website. Must be after a full set of nails at Professional Beauty Care. Clear or Natural Acrylic Nail Enhancements. White French Tip Nail Enhancements. We have a choice of tips to choose from to best suit your nails. French tips with a iridescent white glitter applied to the acrylic nail enhancements. Sculpted acrylics are applied without the use of tips for extension. Instead a form is applied to the nail and the acrylic is designed around the form. Much better method for severely bitten or damaged nails. See Gallery for design ideas. If you have long natural nails and would like to boost their strength this is the perfect solution. Maintenance after 2-4 weeks of Acrylic nail wear. Professional removal of Acrylic Nail Enhancements. Includes a manicure after removal. Strong, beautiful natural nails can become reality. Natural, beautiful French nails. Can be used with extension or own nail length. Gel nails that soak of easily.